SEO for local business is really important and it’s been proved over the last couple of years. From the last couple of years, it has become really easy to find neighborhood businesses or products nearby, thereby creating a shift in user’s intent and search pattern. A couple of years ago, for a person searching for the coffee shop from Jubilee hills, would have been “Coffee shops in Jubilee hill” in Google. But of late people have stopped giving in their location and trend of “near me” search query has risen. Now the same person searching for a coffee shop would have been searching for “Coffee shops near me” in Google. And Google fetches Coffee shop nearby his location. Title and Meta tags still play a crucial role, they reflect the content of the page and are also shown in SERPs. The ideal length of the Title tag is between 40 and 60 characters while meta description would be around 160 characters. These tags must be unique and descriptive, as this would effect in CTR from search results to your page. Use tools like Kitsune, Yoast SEO plugin to check how these tags must be written. Google My Business, formerly known as Google Places, allows you to display your business hours, phone number and directions to your office on Google Search and Maps. 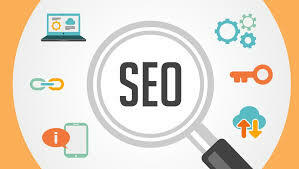 This service is free and will aid your SEO efforts, as your business is listed when customers search for your services. Structured data, sometimes referred to as schema markup, are codes which are added to websites to provide search engines with in-depth information about your products, your business offering, prices of your products, location-based offerings and much more. Schema markup on your websites makes your business stand out in the SERP with things like rich snippets, which in turn will boost your CTR. There are various options for businesses when implementing Schema markup, you can optimize your website according to your business type (dentist, travel agency, etc. ), events (business listing in upcoming events) and location (location markup). Google is forcing marketers to use schema markup and is rewarding websites who use this feature as structured data helps crawlers understand your web pages and the content in it. To check if your website is optimized for Schema markup, you can check out Google’s Structured Data Testing Tool. To optimize your keyword research for local SEO, brainstorm keywords or phrases with a geo-modifier that customers might use when searching for a business like yours. Run generated phrases or words through Google Keyword Planner or Keyword.io to get keyword ideas together with monthly search traffic stats. Keyword research can be time-consuming, but rewarding when done properly. These are only a few things out of many things to do for Local SEO, but implementing these 4 things in you web pages would help in better search rankings and click through rates.